Police seized documents and bodies of dead animals from a pet store in Virginia after an undercover investigation by the Humane Society of the United States revealed the bodies of 14 dead rabbits in the store’s freezer. Over a period of months, HSUS investigated the Petland, Inc. location at 9404 Main St. Suite A in the city of Fairfax, using hidden cameras to document possible animal abuse. Their findings included a freezer full of more than a dozen dead rabbits, which Petland staff claimed got sick and they “just let ... die,” according to a HSUS’ press release. The dead rabbits had accumulated over a period of two months. HSUS said it uncovered it is a regular practice of the Petland staff to not administer veterinary care to sick or dying rabbits. In another instance, a customer returned a rabbit to the store after it seized and died shortly after it was purchased. Petland staff simply added the dead rabbit to the body pile in the freezer, and made no inquiry into the cause of death, according to HSUS. HSUS also traced the main supplier of Fairfax Petland location’s rabbits to Wagner’s Farm in Centreville, Maryland. The farm’s owner told HSUS that they sell about 60 rabbits per month to the Fairfax Petland location. This would require the farm to obtain a USDA license, which HSUS could not find any record of the farm holding. “It’s heartbreaking to see gentle rabbits treated as if they are no more than stuffed toys. 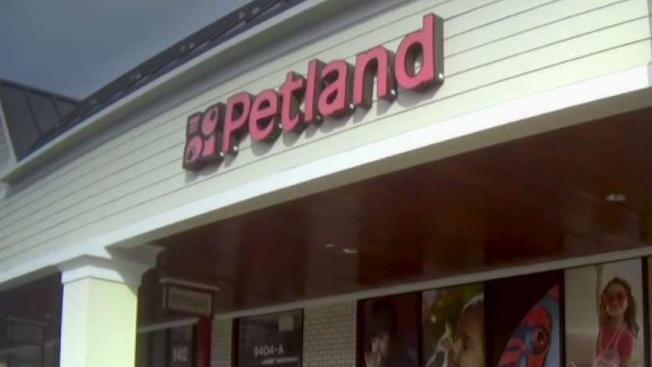 No pet deserves to be treated like a disposable product, and it’s time for Petland to change its business model to reflect that,” said John Goodwin, senior director of HSUS’ Stop Puppy Mills Campaign, in the company’s press release. City of Fairfax police have not placed any charges yet, as the case is still under investigation.